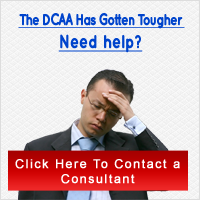 The Defense Contracting Auditing Agency has accounting standards that can difficult to meet; however, it can be done. These tough standards came from years of fraud, waste, and nepotism that caused the government to become concerned with consistency with pricing and accounting practices. These actions are to prevent contractors from taking advantage of the American public. After realizing there should be concrete ways to deal with the economic relationship between the government, the public, and contractors, the DCAA cost accounting standards were put into place. The DCAA cost accounting standards are to do more than to create consistency with pricing and accounting practices. They are to create consistency with pricing and accounting practice within and between organization that have either won or hoping to win government. Standardization of DCAA cost accounting standards create an environment in which the agency can measure, identify, track, and reconcile accounts, contracts, and documentation. Yes, such talk from the government can be scary and discouraging, but with the right company and contract tactics, the standards may only feel like a walking like a bad rash instead of a car crash. Consistency in estimating, accumulating, reporting costs and allocating the cost for the same purposes while disbursing them into segments and allocates general and administrative expenses during and at the completion of the contract. Accounts and consistency for unallowable costs, cost accounting periods, tangible capital assets depreciation and cost of facilities capital and those under construction, insurance costs, direct and indirect costs, and costs for bid and proposal and research and development costs. Accounts for costs for labor direct materials and acquisitions, costs for compensated personal leave or absence, pension costs compositions, measurement, adjustment and allocation, and deferred compensation.